Located on the 7th level of Novotel Singapore Clarke Quay, The Square Restaurant presents its first ever Salted Egg "Go For Gold" Buffet available from 1st July to 30th August 2018. Relish in exciting salted egg items from mains, seafood to desserts where you can find a piece of gold heaven in every corner. 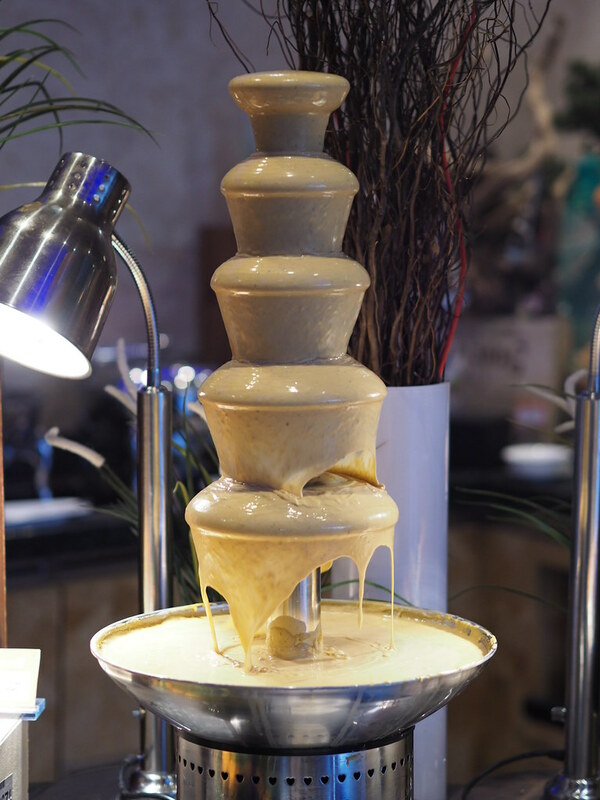 The star of the show would be the golden velvety salted egg fountain positioned prominently as the centerpiece of the buffet. 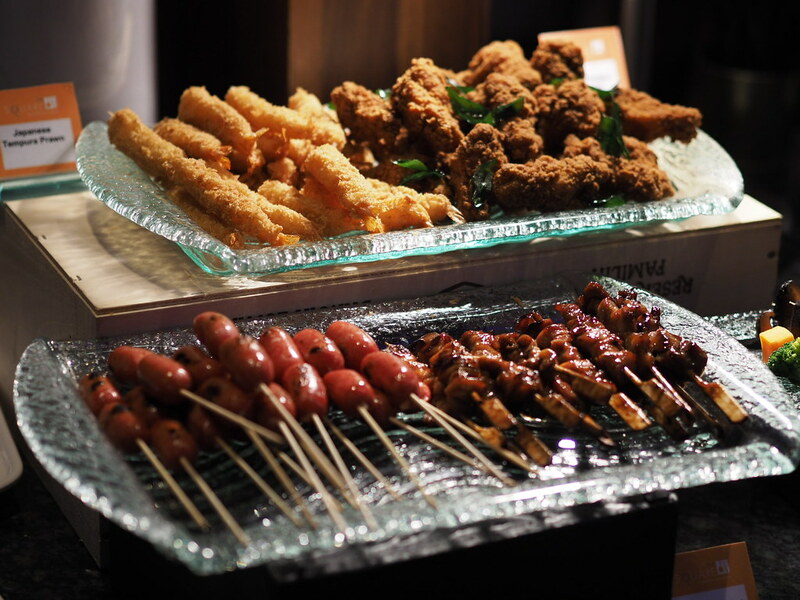 There are also a large variety of condiments on sticks to dip into the salted egg fountain such as the Crispy Chicken Wings, Chicken Yakitori, Sausages, Fried Tofu, Assorted vegetables and more. 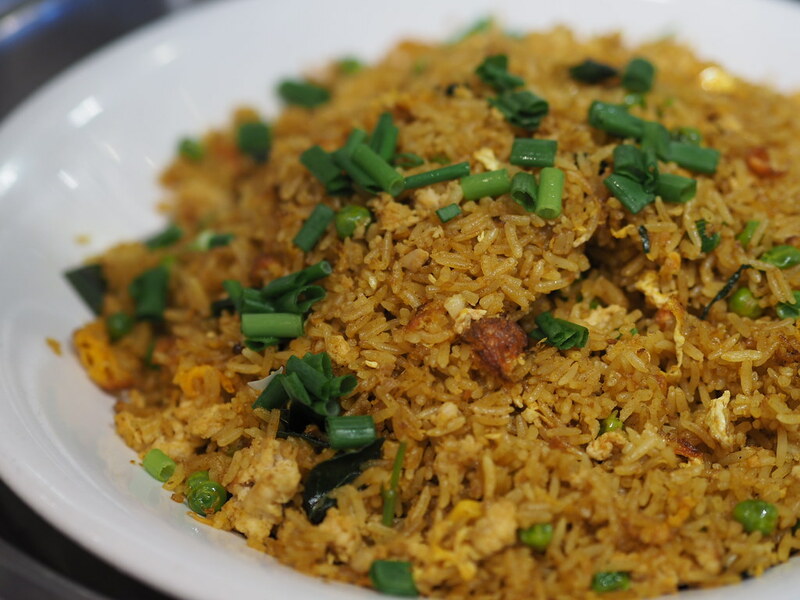 Other than the salted egg fountain, there are also a number of scrumptious salted egg offerings to feast into, such as their signature Salted Egg Crayfish, as well as the Salted Egg Mac and Cheese. 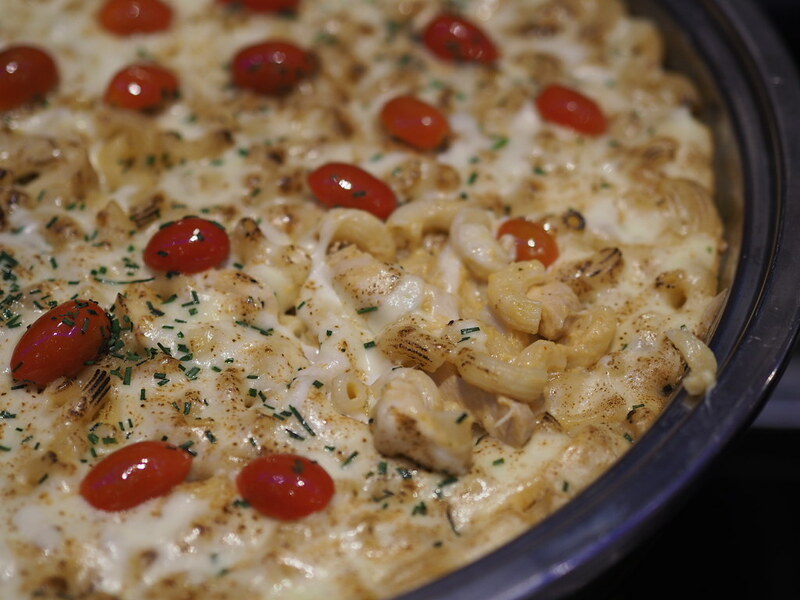 While the Salted Egg Mac and Cheese is enjoyable, the salted egg flavour incorporated within the dish could be stronger. 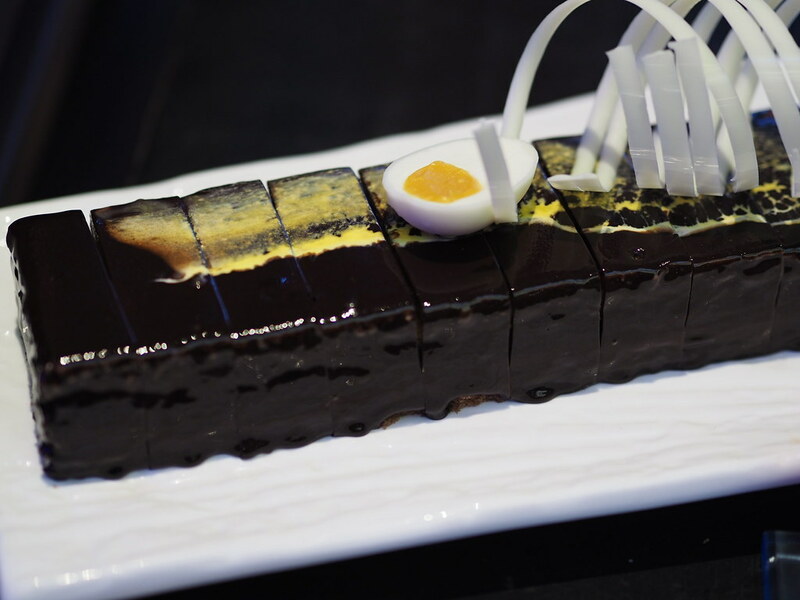 The desserts section features a variety of dessert options such as the fluffy Japanese cheese cake, lemon Swiss Roll and more. 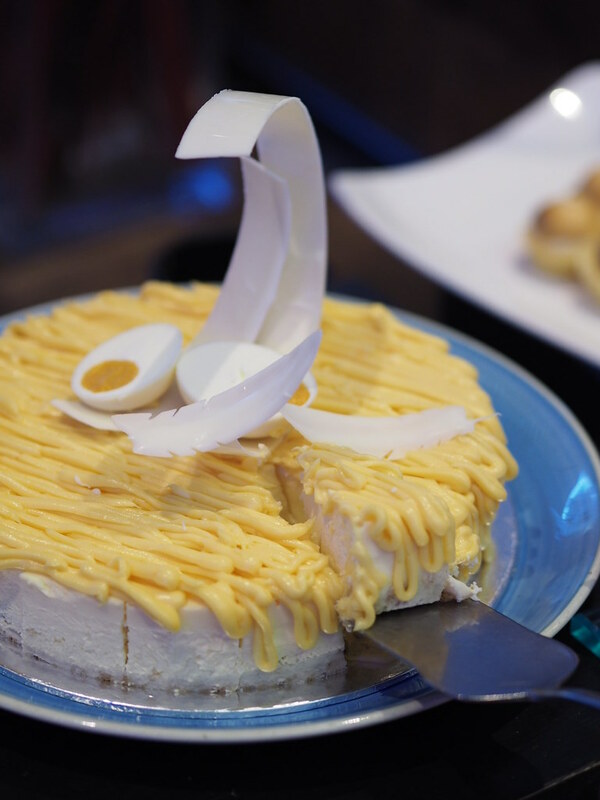 It showcases 2 salted egg highlights: the Salted Egg Cheesecake and Salted Egg Chilli Chocolate Mousse. While the Salted Egg sauce drizzled on the Salted Egg Cheesecake might be a little too subtle, I still enjoyed the creamy cheesecake base. The Salted Egg Chilli Chocolate Mousse has a rather subtle salted egg flavour with a stronger chocolate base. Each bite emits a sharp spicy note from the chilli within the mousse cake. There are also a pancake making machine and an ice cream counter in a corner of the restaurant, which might be easily missed if you were not informed. Press the start button on the pancake machine and watch the machine whirring away as it churns out 2 small odd-shaped pancakes each time. 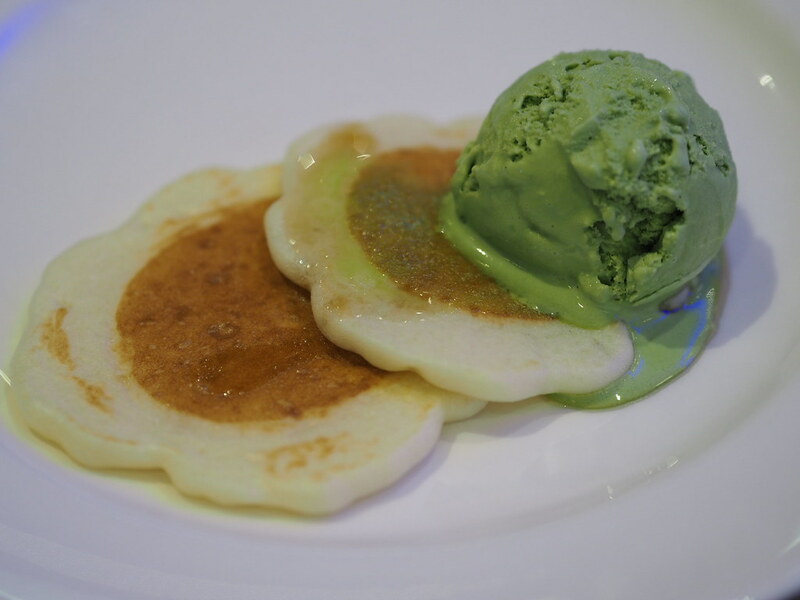 The warm Pancakes boast a soft and fluffy texture, which was rather decent considering they were machine-made, and also complimented well with the ice cream. 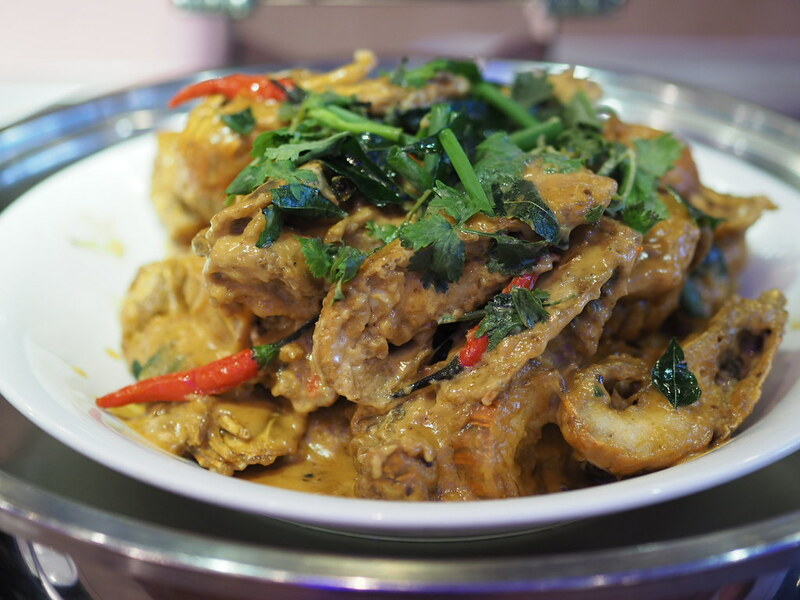 Apart from the salted egg highlights at the buffet, there are also a variety of other non-salted options as well, where diners can continue to indulge in if they get an overdose of salted egg. 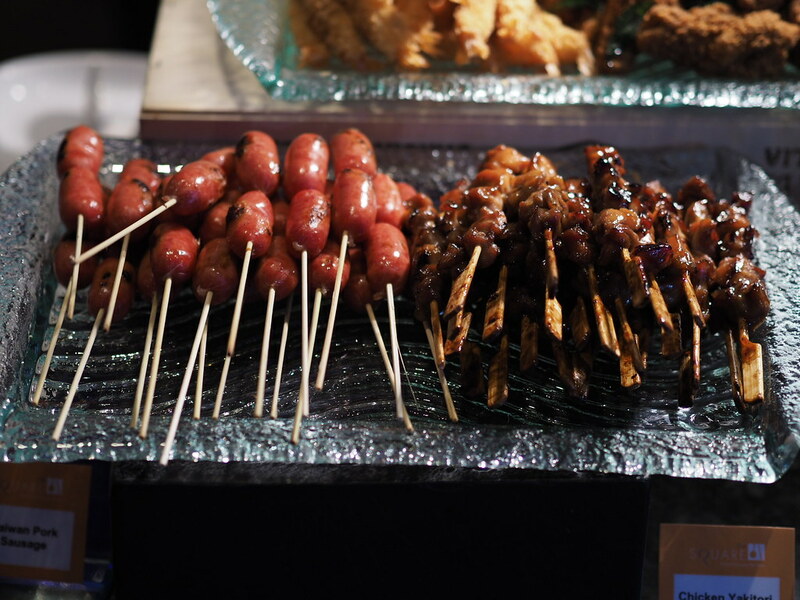 There are the Thai Style Chicken Fried Rice, Pork Ribs with Honey Sauce, Tofu with Prawns, Swedish Style Meatballs and more. 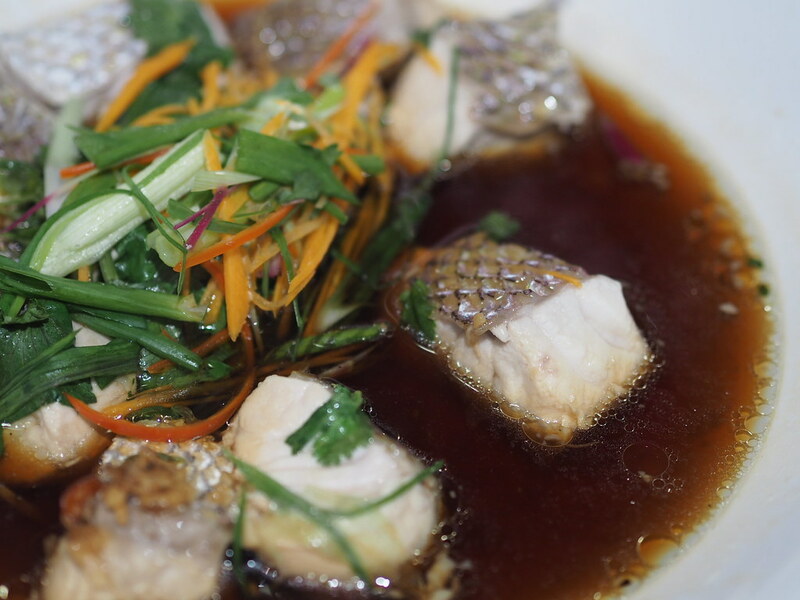 For the seafood lovers, leave some space for the Seafood on Ice inclusive of Fresh Oyster, Live paoched Tiger Prawns, Scallops, Black Mussel and Sashimi. 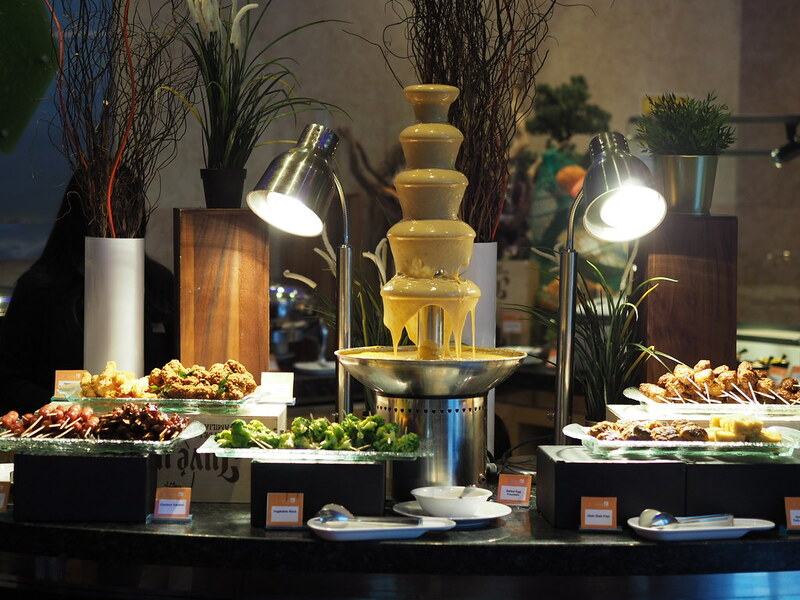 The inagural Go For Gold Salted Egg buffet is only available for dinner in the month of July and August. Menus are on rotation and buffet items may be subject to change.